While reading and watching Arthur Miller's Death of A Salesman I realized it was that years of being a salesman had wired Willy Loman's mind to view things a certain way. In life imitates art once again, my life experiences have been bolstered by modern psychology, psychiatry, medicine, and biology that indicates the same thing: you are what you do. People who invest significant time being involved with chess are improving their thinking and analytical powers just like a body builder strengthens their muscles by lifting weights. Reinforcing this idea is David Shenk's book The Immortal Game - he claims that chess rewires the brain and all mankind for the last 1500 years has been drawn to chess, making chess the greatest game in human history. The good news is most of us in the US alive today will live to our mid 80's. The bad news is half of the people in their mid 80's today have various stages of Alzheimer's disease . Yet it has been proven in numerous studies that playing thinking games defends the brain against this disease. I hope this fact keeps the boomers coming to tournaments; unfortunately chess demographics indicate that we are losing 6 to 8 percent older players each year. Now for you younger folks there are benefits as well. Obviously kids who study chess learn how to deal with situations and apply their analytical skills in real life situations, albeit they reside on 64 squares. Yet successful application of pieces on these squares is based on learning the mechanics of how to generate the most effective force in combination with dissolving one's opponents ability to do the same. Being trained as be a middle school teacher we became keenly aware of the importance of pushing kids to take on the most difficult mental challenges they were capable of handling at the earliest stages that their cognitive ability could handle the challenge. Add to that the need for every kid to find their passion, usually something that's not initially or inherently easy, but becomes something they learn to excel at; which provides, the mortar that builds and glues their self esteem and ego. All my kids play internet games and while these games are quite challenging I contend that chess allows you to create a new reality at the moment. The reality is out in front of us unhidden, present yet so complex. Upon waking up on the mornings that I know I am going to play chess my mind already is processing in a different way. This may sound weird, but my thinking is different when I even know I'm going to play chess. What does all this mean? Well it means that if chess is your past time, there are collateral improvements in your thinking, increasing capability, and protection your future thinking ability. Pretty heady stuff indeed. How can we promote chess as the ultimate brain game? FM Paul MacIntyre was in the group of 5 tied for second at the 2010 Liberty Bell Open. Paul had 5.5 of 7 points, - the half-point came from a last round draw with GM Alexander Stripunsky (2615) which edged the GM out of the money. GM Alexander Shabalov won first place with 6.0. Charles Riordan is ranked among the top 100 chess players in the country. Charles Riordan was in seventh grade, a self-described “class nerd,” when he answered a challenge from a classmate to play a game of chess. During the past year, the United States Chess Federation ranked the second-year Boston College Law School student among the top 100 chess players in the country. Riordan, who is an editorial assistant to Monan Professor of Law Dan Coquillette, regularly participates in top tournament play in the region and throughout the country. A Cambridge native, Riordan credits a parent on his high school chess club for getting him interested in competing on the national level. 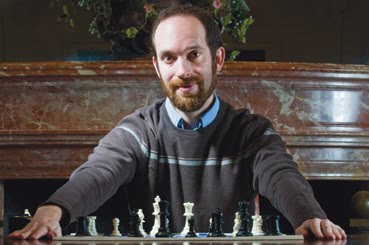 Riordan said rare is the occasion that he sits across from someone he hasn’t already competed against before – a group of 10 high-level chess players in the Boston area often compete against one another repeatedly for the best matches. He describes his style as focused; he prefers to not to look at his opponent at all, simply focusing his attention on the technical points of the game. Riordan said little has changed since he became a top-rated player, other than he has taken to traveling with a chessboard in the trunk of his car, just in case a good match-up presents itself. “I’ve been fortunate to meet some really amazing people through this,” he said. And what advice would Riordan give to nerdy seventh graders who may get checkmated during a first attempt at chess? “Don’t quit...unless you hate it. In that case, do quit and play sports,” said Riordan. “And I’d tell them not to worry, most chess players are very nice and not all that geeky once we grow up." The Boylston Chess Foundation is committed to delivering high quality chess content in many formats. One way to bring chess to the community is to invite GMs and IMs to give a lecture. We normally schedule these in the evenings during the week. 1. Are evenings during the week best? Or would you be more likely to attend if the lectures were scheduled immediately after a weekend tournament, for example the 3-round quads? 2. What topics would you like to hear GMs/IMs cover? 3. How much would you be willing to pay for an event? Usually they are free for club members, small fee for non-members. If a club member, would you be happy to pay a small fee? Please remember the club must pay these professionals for their time, and we usually take a loss on the events. 4. Would you attend a lecture by other top Boylston Club players, perhaps one of our many masters, for a nominal fee? What subjects might they cover. Thanks for you response. If you prefer, you can e-mail your answer to the club, or to rihel_AT_mcb.harvard.edu. Well, I was just up in Canada, too, but for some reason I was unable to buy enough rating points to get over 2500. Where did you go shopping, Marc? I did succeed in taking a tour of the Ice Hotel, currently celebrating its 10th anniversary in Québec. My French language defense held up about as well as my French defense does. Hmm, not sure if that's good, given that I haven't answered 1 e4 with 1...e6 since the 1990's. In any case, leaving Québec I had no trouble at all switching back to butchering things in English. I was once told that the stress is on the first syllable of the World Chess Champion's name, instead of on the second syllable, as I'd imagined. While driving, the classic 70's chess song, Anand On by Stephen Bishop, began playing over and over in my head. Thank you, Ladies and GerMs, I'll be here all week, unless NBC changes my time slot. What is the difference between a book collection and a library? For the past two years Dr. Jason Rihel (Biochemist by trade) worked on cataloging the BCF's chess books. He determined that there exists 2100 volumes, including DVDs and VHS tapes. For those months Jason would be seen connected to his IBM laptop sitting by stacks of books typing away. This one-man Herculean task called the Chess Club Library Project now provides us members with two lists of this great asset. List one: BCF books and media materials. List two: Duplicate books, which are for sale and currently have brought in over $200 to date. Now we know what we have. And if you are interested in buying a book it will help the club as well. So thank you Jason Rihel for sacrificing the time to inventory these books thus enabling the rest of us to know what the BCF has and allow us to enjoy them. BCF members: did you have any ideas as to how we can improve our library? FM Paul MacIntyre reports that IM Marc Esserman broke the 2500 barrier, in Edmonton and then moved a bit further at our own $10 open. He gained 34 points in Canada! About 44 participated in playing in this year's Herb Healy. This is down about 20 people from 2009. The deficit caused the $320 expense of the food to be absorbed by the BCF, contrary to previous years where entry fees covered prizes and the food. The tradition of serving food new year's day began out of necessity because in the days of the blue laws there was very little open on Jan 1. Irving Yaffee estimates he catered the HH (even before it was called the Herb Healy) for about 50 years. Irving worked for a meat packing firm and got the food at wholesale prices. About six years ago Irving got a pacemaker and had to step down. Larry Schmitt and myself stepped in. So although the need to serve food has gone away people still like the tradition. I remember walking from Park Street Station to Boylston Street in 1976, the morning after the first First Night, to play in the HH. In those days the city of Boston hadn't figured out all the rules and the whole Boston Common was covered in about one foot depth of trash and people were still partying. Public drinking was prevalent and people were in various states of ossification; it was a very chaotic situation. Below is the score of a beautiful HH French Defense having Ben Goldberg performing the classic exchange sac and then offering his queen. Ben Yuan counters in a dangerous almost successful fashion. A fantastic game played by both sides. It is not too late to join the Monday Night Swiss with a 1/2 point bye for the first round. What we lack in quantity, we make up in quality -- come join us to play some competitive games. Email me at oresick@gmail.com to register. 4ss; 30/90, G/20, rounds start at 7:00 pm. The annual Herb Healy Open House ushered in the new chess year. Only 46 players entered the rated and unrated events, though many others visited and greeted old friends. The total was down about 20 from last year. The TDs were Bernardo Iglesias and Walter Driscoll. Mike Griffin prepared a delicious spread again this year. [Irv Jaffe, who for many years was the chief cook, is recuperating from a back injury.] The enterprising Jason Rihel who recently cataloged the BCF library sold off many duplicates and earned a nifty sum for the foundation. NM Lawyer Times won the rated section (n = 28) with 4.0. FM Denys Shmelov was 2nd with 3.5. Tied for 3rd with 3.0 were NM Chris Williams, NM Carey Theil, NM Greg Kaden, Simon Warfield and Ben Goldberg. Though Ben only got the bronze, he is lucky in love, as his beautiful girlfriend accompanied him to the tournament and patiently observed his games. 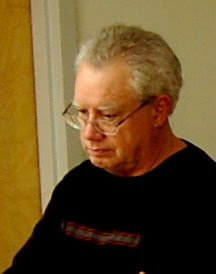 NM Charles Riordan’s 4 points won the unrated section (16 players). FM Bill Kelleher and LM Alex Cherniack tied for second with 3.0. 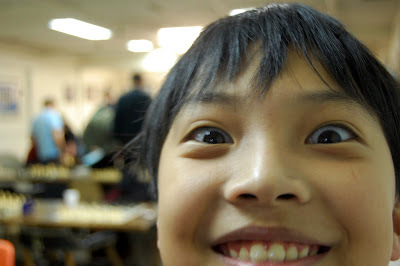 Tied for 3rd were Winston Huang, Alex Slive, Embert Lin, Robert Huntington, WFM Vesna Dimitrijevic, and Paul Mishkin. If you would like to view some photos, check out this link.